For you, the winter season 2018/2019 promises to be full of surprises and new things. At 30, we are overflowing with enthusiasm and energy that we have shared with you all winter. What better wish to celebrate a birthday than the simultaneous birth of three new splendid Residences Club in Les Saisies, Arêches-Beaufort and Tignes. Our Club Hotels are classified in 2 ranges of comfort: Holiday Villages 3 stars and 4 stars. These are 2 styles, 2 moods, to discover in your room, restaurant and pool or spa, with services and benefits to the card at the best conditions. In our 4 * Club Residences, let yourself be seduced by the luxury and comfort thought for your well-being. Do not wait, ask for your brochure and practical guide, or check out their online version. The promise of a mountain vacation is up to the need to do good after a busy year. Active or festive resorts, charming and lively villages or unspoilt corners ... join us this summer in our mountains to fill up with well-being, happiness and joy. 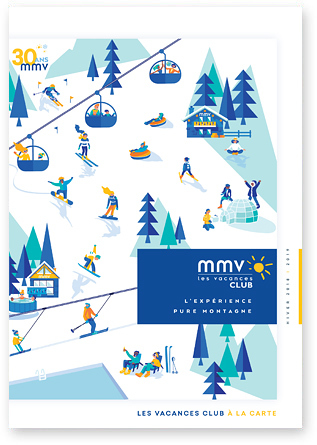 Neat comfort, attentive service, mountain passion to share, mmv reserves you what the mountain does best. More than ever listening to your desires, we invite you to turn these pages. 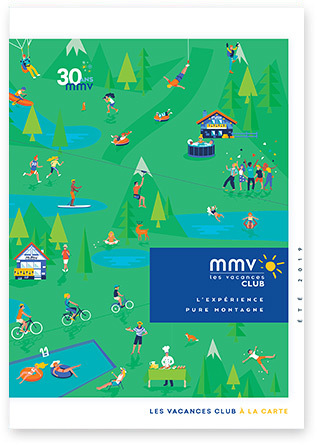 They will give you a taste of new Club mmv experiences! 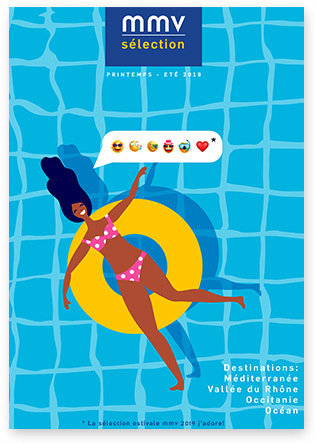 We are glad to present in this catalog our selection of spring-summer destinations by the sea or in the countryside. For a few days, a week or more, choose the accommodation, the atmosphere, the services and the animations which are like you and which will make you live YOUR best holidays!